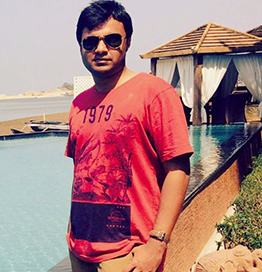 Swaroop Yermalkar works as a Senior Security Engineer at Philips. His work includes threat modelling, security research, assessment of IoT devices, healthcare products, web applications, networks, Android, and iOS applications. Yermalkar is an OWASP iGoat Project leader (https://www.owasp.org/index.php/OWASP_iGoat_Tool_Project) and one of the top security researchers worldwide who works with Cobalt.io (https://app.cobalt.io/swaroopsy) and Synack.inc. Yermalkar has given talks and training at various security conferences, such as Hacks in Taiwan (HITCON), Europeansec, GroundZero, c0c0n, 0x90, DefconLucknow, and GNUnify. He has been acknowledged by Microsoft, Amazon, eBay, Etsy, Dropbox, Evernote, Simple Banking, iFixit, and many more for reporting high-severity security issues in their mobile apps. He is an active member of NULL, an open security community in India, and is a contributor to the regular meetups and Humla sessions at the Pune, Bengaluru chapter. He holds various information security certifications, such as OSCP, OSWP, SLAE and CEH. Yermalkar has written articles for clubHACK magazine and is the author of An Ethical Guide to Wi-Fi Hacking and Security and Learning iOS Penetration Testing (Packt Publishing).